Italy’s prime minister has signed a memorandum of understanding with Libya to curb the flow of migrants to Europe. Rome has pledged money, training and equipment to help the UN-backed Libyan government to manage its vast desert borders and boost its limited coast guard fleet. Libya’ s prime minister flew to Rome on the eve of an EU summit to sign the agreement. “It’s an agreement which strengthens the cooperation between Italy and Libya in many areas. There is need for development, stability, reconstruction, rebirth of unity. 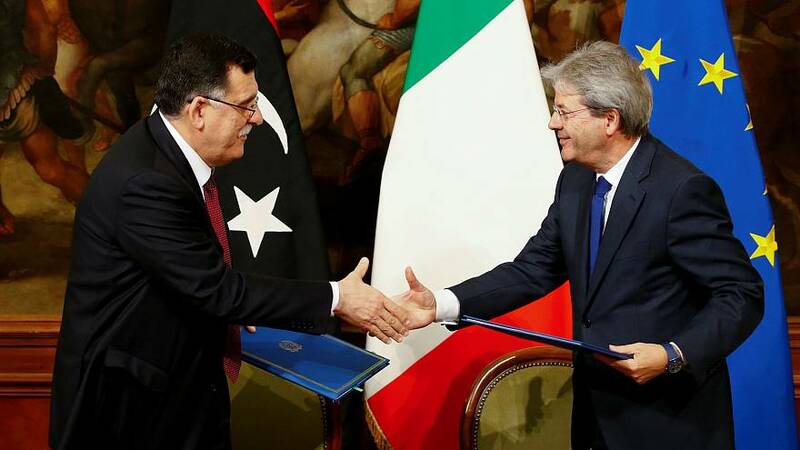 On the other side the agreement commits Italy to strongly support Libya,” Italy’s premier Paolo Gentiloni said. The Mediterranean route is now the main gateway to Europe, with some 180,000 arrivals in Italy last year. Libya’s government is struggling to establish control over its territory, with various factions contesting power, a situation which allows people smugglers to operate with impunity.